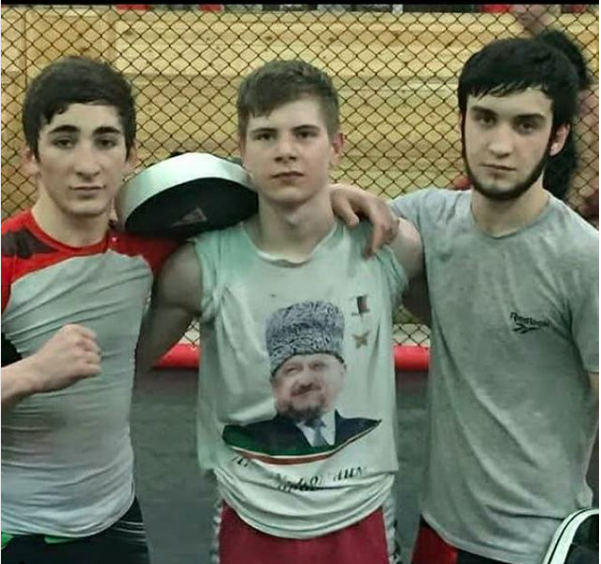 In a small gym under a railway tunnel in Grozny, Chechnya, 18-year-old Muhammad Kualev has spent the past six months practicing assorted holds and striking maneuvers for an upcoming mixed martial arts tournament. Like many other young Chechen men, he’s an aspiring professional fighter, one who travels three and a half hours into the capital from his small village in Berkut daily. Once there, he trains at the Grozny Muay Thai gym, among the most popular of its kind in the MMA-obsessed, former-Soviet-republic-turned-Russian outpost. Its walls are adorned with pictures of Chechnya’s celebrity fighters — e.g., Khabib Nurmagomedov, Khamzat Borz and Magomed Bibulatov — all of whom have competed on a global level in the UFC. In Chechnya, mixed martial arts are like soccer in Europe, or football in Texas. Fighters are unconditionally respected and adored. Internationally ranked fighters can live like kings through both corporate sponsorship and their large government-funded salaries. The best of the best are even provided mansions and luxury apartments by the government and gifted expensive sports cars, photos of which they’re encouraged to post on social media, mainly Instagram and the Russian social media site VK. It’s an appealing life in a country still reeling from a continuous civil war between Chechen separatists, militant Islamist groups and the Russian Federation Army that’s destroyed any semblance of normalcy (and opportunity). Kadyrov, however, has an MMA side hustle. He’s the owner of the exclusive Akhmat Fight Club, Chechnya’s biggest MMA center, which regularly hosts tournaments for fighters in Russia and the Caucasus region, and often trains former Chechen soldiers to become brutal, world-class fighters. Akhmat is also becoming a go-to destination for UFC fighters around the world, known for its tough training programs as well as its flashy public fights in Akhmat Stadium. Needless to say, the Chechen-UFC nexus has caused controversy in Western MMA communities, who are uncomfortable with Chechnya’s anti-LGBTQ laws, and its lax age restrictions (i.e., children as young as eight are allowed to fight without any protections). Last year, for instance, American UFC middleweight Chris Weidman was forced to apologize and deny he had any ties to Kadyrov after he was pictured with Brazilian middleweight Fabricio Werdum and heavyweight Frank Mir at Akhmat. Similarly, Dana White, the head of the UFC, has been encouraged to ban Chechen fighters from competing in his events. For his part, Kadyrov hasn’t only continued to support UFC fighters, he’s even challenged the entire UFC to fight his students. Magomed Raisov on Instagram: "Твоё выражение лица, когда у тебя диета "
Having left school last year, Kualev is now on a rigorous training regimen, working out twice a day and catching moments of sleep on the bus he takes to and from Grozny each day. 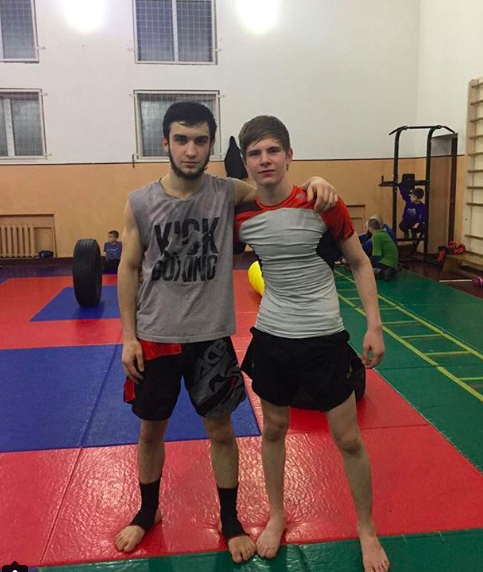 He hopes that he’ll soon be good enough to be selected by Akhmat, a place where he’ll finally get enough of a salary to afford his own car and possibly equipment that isn’t hand-me-downs from more senior fighters. It also will place him in front of adoring crowds — and more importantly, the president himself. Such an outcome is really the only thing worth fighting for.